Sea Tow International said Thursday that the Sea Tow Foundation&apos;s Life Jacket Loaner Station program, in existence nationwide since 2007, will open National Safe Boating Week, which starts Saturday, by accepting a $20,000 donation. 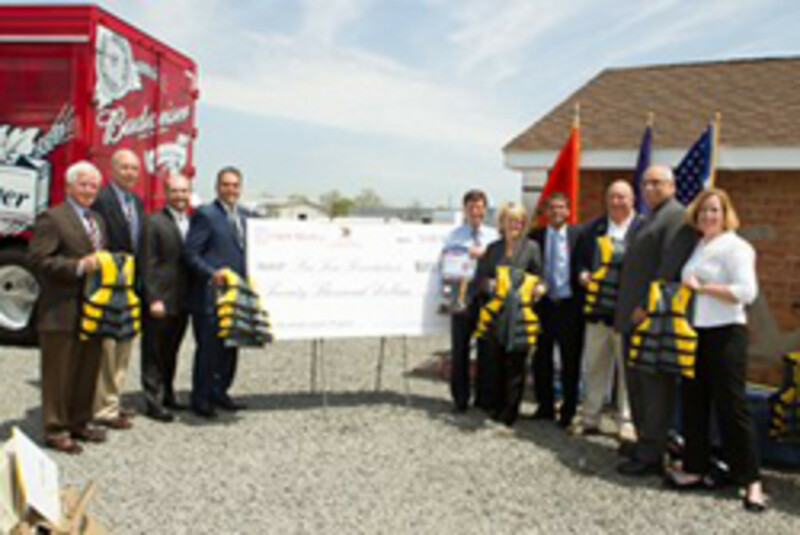 The donation, from Clare Rose Inc., a local beer distributor in Yaphank, N.Y., and Anheuser-Busch, of St. Louis, will enable the Sea Tow Foundation to further support the Life Jacket Loaner Station Program, making adult-size life jackets available to borrow island-wide at Long Island Sea Tow locations, marinas, boat ramps, local police and fire stations and yacht clubs. "We are honored to be aligned with Clare Rose, a like-minded, local family-run business, and with Anheuser-Busch, which has been the industry leader in promoting alcohol responsibility on and off the water for the past 30 years," Sea Tow International founder and CEO Capt. Joe Frohnhoefer said in a statement. "In addition to encouraging boaters to wear life jackets, we ask all boaters to take the pledge to boat responsibly and to designate a sober skipper. We want to do what we can to help reduce preventable accidents and have a safer 2013 season." Clare Rose president and CEO Sean Rose said in a statement that his company prides itself on being an integral part of the Long Island community “and we are a company of avid recreational boaters."